Join us on March 3 for CitySquare's 16th Annual Urban Ministries Prayer Breakfast with keynote speaker World Food Prize laureate David Beckmann, one of the foremost U.S. advocates for hungry and poor people. He has been president of Bread for the World since 1991, leading large-scale and successful campaigns to strengthen U.S. political commitment to overcome hunger and poverty in the U.S. and globally. Beckmann is also president of Bread for the World Institute, which provides policy analysis on hunger and strategies to end it. He founded and serves as president of the Alliance to End Hunger, which engages diverse U.S. institutions—Muslim and Jewish groups, corporations, unions, and universities—in building the political will to end hunger. He is also the author of the recently released book, Exodus from Hunger. Bread for the World is a collective Christian voice urging our nation's decision makers to end hunger at home and abroad. Bread for the World members meet with and write personal letters and emails to their members of Congress. 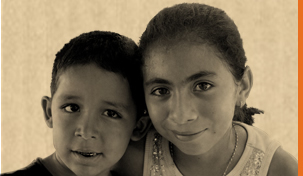 It is one of the largest organizations in the world dedicated to building the political will to end hunger. For details about this year's prayer breakfast go to http://dallasprayerbreakfast.org/. "Happy are those who observe justice, who do righteousness at all times." Last Shuttle launch seen from above. . .
Amazing video of Space Shuttle takeoff as seen from an airliner. To go direct to the YouTube link click here. Private Screening of "Food Stamped"
CitySquare exists to fight the root causes of poverty by partnering with those in need. Working together as a community, we feed the hungry, heal the sick, house the homeless and renew hope in the heart of our city. From the beginning, addressing the hunger needs of our neighbors has been at the heart of our work. In 1988, CitySquare began as a small store front food pantry. It is from this humble beginning that the work of CitySquare has grown. Please join CitySquare for private screening of Food Stamped and find out exactly how tough it is to adequately nourish your family on food stamps. When: Thursday, March 10, 2011 at 7:00 p.m.
Food Stamped is an informative and humorous documentary film following a couple as they attempt to eat a healthy, well-balanced diet on a food stamp budget. Nutrition educator Shira Potash teaches nutrition-based cooking classes to elementary school students in low-income neighborhoods, most of whom are eligible for food stamps. In an attempt to walk a mile in their shoes, Shira and her documentary filmmaker husband embark on the “food stamp challenge” where they eat on roughly one dollar per meal. Along the way, they consult with food justice activists, nutrition experts, politicians, and ordinary people living on food stamps, all in order to take a deep look at the struggles low-income Americans face every day while trying to put three-square meals on the table. To register for the showing click here. The current budget proposal coming from the U. S. House of Representatives completely eliminates funding for the Corporation for National and Community Service that includes AmeriCorps and VISTA. Cutting this initiative would be short-sighted and foolish. The return on investment in AmeriCorps to American communities turns out to be enormous. Students sign on to serve in communities of need and disadvantage, and in exchange receive an educational award at the end of their term of service, as well as a small stipend, health insurance and even a child care benefit, if needed. The education award must be used only to pay college tuition or to retire college debt. In exchange for the benefits, AmeriCorps members take assignments in youth programs, mentoring efforts, community development projects, housing construction, architectural work, children's education programs, health and wellness centers--the list goes on and on. Here at CitySquare we've enjoyed the benefit of a large AmeriCorps team that has allowed us to bring innovative programming to many low-income communities in inner city Dallas. It has been amazing to watch our AmeriCorps team members work hard to benefit others. It has also been thrilling to watch them grow, learn and extend themselves beyond the boundaries of their beginnings! We've hired a number of the members following the completion of their national service. Typically, AmeriCorps members "sign on" for a life of community service as a result of their experience as an AmeriCorps member. One of their mottos, "Getting Things Done!" really gets at the essence of AmeriCorps. Please write, call and/or visit your member of Congress and your two Senators to express your support for fully funding the Corporation of National and Community Service. You action could help save a vital, American expression of our commitment to higher education and community service. For information about contacting your member of Congress and your Senators visit http://www.house.gov/house/MemberWWW_by_State.shtml and http://senate.gov/general/contact_information/senators_cfm.cfm. 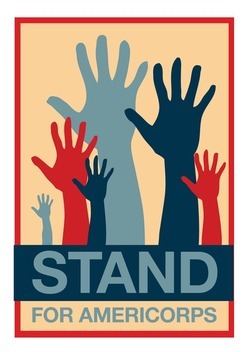 Act now to help save AmeriCorps! Here's the latest from Washington on the current budget discussions and workforce training/development. The Continuing Resolution passed by the U. S. House of Representatives last Saturday de-obligates, rescinds and removes the Workforce Investment Act (WIA) from any current or future funding. This action comes as a surprising development, and hardly logical considering ongoing unemployment and underemployment in the nation. It is, however, a fact of the current House Bill. By any measure, this is unprecedented. Here in Dallas our workforce commission has operated without decline or interruption for more than 27 years. The nation depends on the workforce system for retraining, remediation, re-employment, national emergency re-employment and youth workforce preparation. Although the House has determined that the system is expendable, provisions to fund the WIA remain in the budgets developed by the Obama Administration and the U. S. Senate. The removal of workforce would cut Dallas capacity and space by half. More of the same: penny wise, pound foolish. We may perish by movement to the extremes. Years ago an "All in the Family" program featured Archie Bunker's solution to airline skyjackers. It went something like this: "Sure dare, Meathead, yous pass out the 45s as people get on da plane and yous solve your problem!" Apparently the Texas legislature agrees. They seem to be adopting the same logic as Bunker in regard to the campuses of Texas colleges and universities. I couldn't believe this report that appeared in The Dallas Morning News on Monday, February 21, 2011. Have we simply lost our minds? Supporters of legislation that would allow students and faculty to carry concealed handguns at colleges and universities in Texas say their goal is to make campuses safer. But some of the Dallas-area students they hope to protect say they’d feel less secure knowing their peers might be armed. Phil Montgomery, a junior at the University of North Texas, said he’d rather see more security officers than ask students to pitch in. The bill has broad support in the Legislature but faces several hurdles before becoming law. Neither the House nor Senate has considered the measure. Texas would be the second state, after Utah, to pass such a broad-based law. The measure’s proponents say it could help prevent campus gun violence, such as the shootings at Virginia Tech in 2007, Northern Illinois in 2008 and UT-Austin just last year. The following most interesting column by Dallas Observer writer, Jim Schutze reveals the something of the growing importance of the work of the Central Dallas Community Development Corporation. Worth your time if you care about affordable housing in Downtown Dallas. Tell me first. To be a cool place to live, what does downtown Dallas need? Action. Tons and tons of people, not all super-rich, not all homeless, either. But that's the problem with downtown. Rich people in the towers. Desperadoes in the alleys. Long empty sidewalks between. For that to change, downtown needs to become affordable to jobsians. Not rich. Not poor. Not white, black or brown. Just people with jobs. Guess what. I think maybe that door just cracked. In a small room in the bowels of City Hall at 8:30 in the morning on one of those hard weather days last week, an obscure body voted to change direction on the renovation of a handful of old office towers—known as the Atmos Project. It was the first hint of a whole new thing, and it only happened because some guys whopped the city upside the head with a two-by-four. I will come back to that, of course, because I know you love head-whoppings. The important thing is this: The city board, whose name is too long for me to mention yet, voted to put way more subsidized low-rent apartments into the Atmos re-development deal than originally planned. For decades, Dallas has taken federal funds designed to foster low-income housing downtown and used the money instead to make downtown hotsy-totsy. The result is what you see now—notsy. Click here to read the entire essay and get to the part about the Central Dallas CDC. . .
"Justice is what love looks like in public." You can help today. . . Fact: During 2010, CitySquare served, touched, supported, partnered with over 53,000 DIFFERENT individuals to see real improvement in their lives. Fact: CitySquare exists to engage "the poor" in crafting better lives for themselves and, in most cases, their children. Fact: Hunger and worry about what to put on the table remains a real, pressing issue for far too many Dallas area families and individuals. Fact: For more than two years now CitySquare has seen long lines around our Food Pantry, as more and more families depend on our presence to meet their food/grocery needs. Fact: The quality of our food products has improved dramatically so that now we distribute fresh produce on a daily basis. Fact: All that we do demands a steady stream of funding. Fact: You can help today! 1) Visit www.CitySq.org or click here right now: DONATE. 2) Commit to become a monthly donor. 3) Join the "1,000 Voices Campaign"--for information contact me at ljames@CitySq.org or call me at 214.303.2116. 4) Walk with us over the next 10 days by making a contribution that will enable CitySquare to raise $10,000 by Tuesday, March 1, 2011! 5) Very important: Forward this post to all of your contacts on Facebook, Twitter, other social media, email contact lists and on blogs. Don't wait! You can make a huge difference right now! Here's a report on a most creative plea by a Texas school superintendent to the Texas Legislature. The report appeared in The Washington Post. Thing aren't looking so good for Texas school children who attend our public schools. Hmmm. Now, there's a question: Wonder how many of our legislators send or sent their children to public schools? This is an open letter issued by John Kuhn, superintendent of the Perrin-Whitt Consolidated Independent School District. Addressed to Texas legislators, this plea for help is modeled on the famous letter that William Barret Travis sent from the Alamo right before it fell in 1836 (the text of which follows Kuhn's). Kuhn refers to plans by Texas Gov. Rick Perry to cut billions of dollars from public school funding. I am besieged, by a hundred or more of the Legislators under Rick Perry. I have sustained a continual Bombardment of increased high-stakes testing and accountability-related bureaucracy and a cannonade of gross underfunding for 10 years at least and have lost several good men and women. The ruling party has demanded another round of pay cuts and furloughs, while the school house be put to the sword and our children's lunch money be taken in order to keep taxes low for big business. I am answering the demand with a (figurative) cannon shot, and the Texas flag still waves proudly from our flag pole. I shall never surrender the fight for the children of Perrin. Then, I call on you my legislators in the name of Liberty, of patriotism & everything dear to the American character, to come to our aid, with all dispatch. The enemy of public schools is declaring that spending on a shiny new high-stakes testing system is "non-negotiable"; that, in essence, we must save the test but not the teachers. The enemy of public schools is saying that Texas lawmakers won't raise 1 penny in taxes in order to save our schools. If this call is neglected, I am determined to sustain myself as long as possible and fight for the kids in these classrooms like an educator who never forgets what is due to his own honor & that of his community. Make education a priority! Urban Ministries of Durham offers a real challenge in the form of an on-line game they call "SPENT." To take the SPENT challenge click here. CitySquare Board member, Jon Halbert is executive producer of the upcoming feature film Rising from Ashes. Jon's interest in justice and reconciliation in Rwanda and around the world says everything about his role with us here at CitySquare. CitySquare benefits enormously from Jon's involvement and leadership. Check out the preview of the film set to be released at the Sundance Film Festival next year. Please, let me share an experience that I had over the holidays. I recently replaced the behemoth tube television in my bedroom with an LCD - it was so cheap. Problem is...what to do with its giant box of a predecessor! Ahhhhhh, I called the Central Dallas Ministries (now CitySquare) Thrift Store. A person named Will answered the phone - I explained that I knew that they did pick-ups but hated to ask them to come for one item so, if they would pick up the tube, I would gather some other "stuff". Will said that they had time the following day and that he would call me in the morning to confirm a time. He did so and said that they would arrive between one and two. They did so. Two fellows in a large truck arrived right on time, receipt in hand. They picked up the TV and sundry parkas. In my embarrassed appreciation, I muttered, "Gee, I feel terrible that you all are getting so little." One of the gentlemen said, "Thank you so much. This will help a lot of people." Both politely shook my hand, thanked me profusely and wished me a happy holiday. Wow! What about this experience differed from every other one I have had with [she mentions other organizations]? EVERYTHING!!! They did exactly what they said they would do, on time and as courteous as can be...not to mention appreciative and, in reality, they had helped me. This is an organization populated by folks who have been homeless, had addictions, fallen on hard times and they are more professional and more courteous than any for-profit organization I can bring to mind. The last week of the year most of us are cleaning out closets,garages and scurrying around to drop-offs. If you are engaging in this enterprise, I encourage you to consider the Central Dallas Ministries Thrift Shop. You can deliver items there, too, but they will gladly send a truck and the nicest people in the world if you, like me, have something you cannot lift or fit into the car. And, by the way, the Thrift Store is really cool- also very professionally managed and since folks like us with some pretty decent "stuff" to donate have learned about it- you can find some fun things. Here is their contact information. I encourage you to have a great new year's experience! Spending cuts--what will be the payoff? As the Texas legislature targets a wide range of potential programs and departments for the budget knife, some program cuts could cost more than the cuts save, while making our communities less healthy, productive and safe for everyone. Take funding for programs that engage ex-inmates. NATIONAL — Cuts in probation and parole programs to reconcile state budget deficits could undermine recent successes in shrinking bloated prison populations, criminal justice officials say. In some states, the number of people committing new felonies while on probation or parole has inched up, in part because of cuts to programs that helped former inmates stay out of prison. Other states are weighing substantial budget cuts to all parts of their criminal justice systems, including probation and parole programs. Adam Gelb, director of the Pew Center's Public Safety Performance Project, says some of the most successful criminal justice programs launched in recent years are at risk. "The (financial) hole is so deep," says Gelb, whose non-partisan group has helped develop state programs for managing offenders outside prison. "Programs for convicted felons are an easy target." Carl Wicklund, executive director of the American Probation and Parole Association, says the fiscal crisis is "pushing more people out of prison" with fewer people to supervise them and fewer dollars to support drug treatment, housing and job assistance. "We're setting these people up for failure," Wicklund says. A report Tuesday by the Council of State Governments Justice Center, a bipartisan group that promotes public safety policy, urged lawmakers to spare programs that have been effective in reducing prison costs. In Kansas, where officials just two years ago were spotlighting the success of the state's probation and parole strategy in reducing high prison costs, an additional 322 probationers returned to prison for committing new offenses in fiscal year 2010. Overall, the portion of Kansas probationers who successfully completed their terms dropped to 54% in 2010 from 61% in fiscal year 2008, according to a January state report. Roger Werholtz, Kansas' former corrections secretary, says the losses are "a casualty of the economic crisis" and stricter sentencing policies that added mandatory prison time for more offenses. and substance abuse treatment. An additional $7.2 million in cuts have been proposed for fiscal year 2012, starting July 1. "I had been getting invited to talk (to corrections officials in other states) about what we did right. Now I spend just as much time talking about what we could have done better," Werholtz says. In Florida, the number of offenders who committed new felonies while on probation jumped from 7,164 in fiscal year 2007 to 9,000 in fiscal year 2009. The number declined slightly in fiscal year 2010 to 8,440. But Florida Department of Corrections spokeswoman Gretl Plessinger says there is concern that expected cuts to plug a $3.5 billion state budget shortfall could threaten those slight gains. of the $240 million in treatment programs for some offenders who, without those programs, would have been ordered to prison. Madden says the programs also were central to a slight drop in the number of parolees who returned to prison for committing new felonies in fiscal year 2010, from 24,692 in 2009 to 24,239. "We can't afford to go back (to growing prison populations)," he says. "We're not conceding anything yet." As I paid for my hot cup of coffee at the 7-11 located on the first floor of our CityWalk @Akard building, I noticed one of the checkout clerks eyeing a homeless man who had just exited the store. The clerk's expression could have cut steel. The homeless man left the store and took a seat on the edge of the fountain wall just outside the door to rest a moment and drink his coffee. I heard the clerk tell his partner at the cash register, "Call the police." At some point during the engagement between that clerk and the homeless gentleman, the latter held up proof of payment or the other clerk informed his suspicious partner that the coffee had been paid for. I didn't understand that was what had happened until I left the store and talked to the man. He assured me that he had paid for the coffee. I noted as we spoke that he was shivering uncontrollably in the sub-freezing weather. I'm sure the clerk had experience to back up his concern about the man, the coffee and the business of buying and selling and not paying. But there was more going on in those few moments. I know disdain when I see it. I can feel disgust when it is focused so clearly on another. The entire incident made me sad. What would it be like to be so poor, so broken, so abandoned that others could immediately judge you as not worthy of common human decency or respect? What would living beneath that ever-present stigma be like? Contrary to much popular media reporting, almost no public leader talks seriously about poverty in the U. S. these days. Think about it. When was the last time you heard any political leader or policy maker enter into a serious discussion about domestic poverty? No one should expect us to make much progress in low-income, impoverished neighborhoods if none of our leaders are calling attention to the needs or suggesting serious public strategies for attacking the life-destroying realities of poverty. I've been thinking about this for some time now. As a result, the essay below caught my attention. Read it and let me know what you think. The closest Obama got to a mention was his confirmation for “Americans who’ve seen their paychecks dwindle or their jobs disappear” that, indeed, “the world has changed. The competition for jobs is real.” I’m sure they appreciated that. So how is it that this Democratic president has the temerity to deliver a State of the Union address that completely neglects any explicit mention of the calamitous conditions now afflicting his staunchest supporters: the poor? He talked at length about education (the most inspiring part of the speech) and about civility and his repackaged bromides of global competitiveness and investments in the future. And, of course, there were cautious mentions of programs that benefit seniors and the need to protect and secure them. Can’t forget the plea to the old people. Protecting programs for seniors strikes the right chord morally and politically, but the data show that seniors are not the ones feeling the majority of the pain these days. I, for one, refuse to believe that this is an either-or proposition. We can make smart choices about protecting seniors and supporting younger Americans in need at the same time. We don’t have to ignore the Annies among us to court the Miss Daisys. For the poor, this is the Obama Conundrum. He was obviously the best choice in 2008. And judging by the current cast of Republican presidential contenders, he could well be the best choice in 2012. But does that give him license to obviate his moral responsibility to his electoral devotees? Can and should they take his snubs as a necessary consequence of political warfare as he makes every effort to tack back to the middle and reconnect with those whose opinion of him vacillates between contempt on a bad day and sufferance on a good one? Does keeping him in the White House dictate keeping them in the shadows? And things could get even worse for the poor if the president feels the need to cut too many deals with the new Republican-led House in order to appear more centrist. Even as my respect for this president as a shrewd politician has begun to rebound, my faith in him as a fervent crusader for the poor and disenfranchised has taken yet another nose dive. One’s tone-deafness — or blatant indifference — to the poor has to be at Black American Express status to brag that “the stock market has come roaring back” and “corporate profits are up” and not even mention the unemployment rate or the continuing foreclosure crisis. I want to believe that President Obama’s speech omissions were oversights, not acts of arrogance. But I’m not sure. President Truman wrote in 1953 that, “ultimately, no President can master his responsibilities, save as his fellow citizens — indeed, the whole people — comprehend the challenge of our times and move, with him, to meet it.” But, it is sometimes hard to follow — indeed, to chase — a president who appears to be moving, often at a full sprint, away from the people who once carried him. Across the past four decades I've given considerable thought to the entire process of community development both in groups of people and in physical locations within urban geographies. I'm certainly no expert. But, of course, I have a few ideas after all this time. While I haven't had extensive, formal, academic training on the subject; I do have an understanding about the essentials or the ingredients necessary for community development and renewal to occur. Interdependent individuals who form a group. Willing workers who pursue a common mission. Alignment of existing community assets. Leveraging of additional, needed, outside resources for the work. Youthful exuberance no matter what the age of those involved! Of course, there are other essential factors to bring to the process, but, in my view, nothing happens without these five building blocks of community development. Treasure on the flip side! What follows is a fascinating report on a surprising find made by scholars at Baylor University who were researching a collection of gospel music. What they found on the "B side" of the many 45s they studied turned out to be a major find. Newswise — A surprisingly large number of “B” sides on old 45s of gospel songs address the subject of civil rights, the Vietnam War and other social issues, according to a Baylor University researcher who is overseeing a preservation effort called the Black Gospel Music Restoration Project. The recent discovery “tells us that the gospel community was much more involved in the civil rights movement than we previously thought — outside of Mahalia Jackson and Dorothy Love Coates, who we knew were very involved,” said Robert Darden, an associate professor of journalism at Baylor and a former gospel editor for Billboard magazine. In 2005, Darden began a search-and-rescue mission for gospel music on old 78s, 45s and LPs and in various taped formats to be preserved digitally and cataloged at Baylor. Darden — author of People Get Ready! A New History of Black Gospel Music — was concerned that while contemporary gospel was thriving, early gospel by lesser known artists during the 1940s to the 1970s, the “Golden Age of Gospel Music,” might be lost forever. The songs related to civil rights may have escaped notice because few scholars are studying gospel music’s impact on that issue, as well as the fact many of the artists are lesser known or even unknown, other than by a small circle of friends, family members and church members, he said. 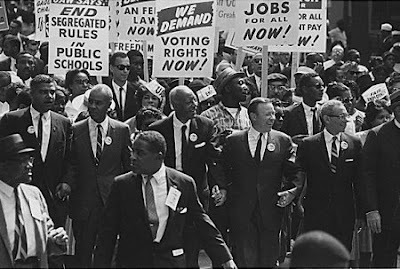 The lyrics speak of civil rights marches and demonstrations in Atlanta, Tennessee, Birmingham and Chicago, of violence and snapping police dogs, of integration and equal rights. Note: Darden will be speaking on the topic during February, Black History Month. He will speak at 6 p.m. Feb. 22 on "The Influence of Black Sacred Music on the Civil Rights Movement"" during an event at Northwest Vista Community College in San Antonio. Maybe these images, taken from The Dallas Morning News, combine to tell the story of this crazy week just past! Lots of folks talked the DFW area down all because of the snow and our community response to it. Not sure I see the logic in those complaints. 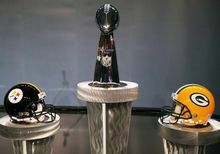 Mr. Jones and the Super Bowl Committee are strong, well-connected folks, but I don't think they command Mother Nature or the Almighty! 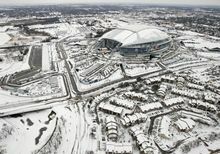 And, why would a place like Dallas, a perfect climate for the big game most every year, invest limited public resources in equipment to handle an over-the-top, exceptional winter blast like we just experienced? I think we did fairly well with what was available. And, come to think of it, I believe I remember New York City and its mayor being criticized about a month ago in the midst of a tough winter storm, and they were "prepared." So, maybe these images do tell the story! Enjoy the day! Enjoy the game! Faith and the President: "a sustaining force"
President Obama spoke at the 2011 National Prayer Breakfast last week. The speech provides useful insights into the faith life of the president. I find his remarks about the church and the role of the church in his life and in his decisions to enter public service very interesting. Like most of us he differentiates church life from authentic spirituality. The Golden Rule, the ultimate value basis for Jesus, and the work of the spiritual leaders of the American Civil Rights Movement and leaders of other faith traditions shaped his worldview. He relates his own conversion experience while working as a community organizer on the south side of Chicago. Well worth your time. Photos taken out the 3rd floor window, on the 3rd floor patio and from the street. "For a compassionate man nothing human is alien: no joy and no sorrow, no way of living and no way of dying . . . This compassion pulls people away from the fearful clique into the large world where they can see that every human face is the face of a neighbor." Snow, Dallas, Two years in a row! Joy! Here's what greeted us in Dallas, Texas this morning. Shots off my front porch in Old East Dallas. Schools closed for the 4th day in a row. Unheard of in these parts! A city pretty much shut down. Beautiful time if you're looking for the beauty of the entire experience. Super Bowl on CityWalk wall! People continually ask me, "What can I do to help?"